From Sweet & Creamy Regular Iced Coffee to Peach Iced Tea AND even Fruit Brewed Vitamin Bursts like the Strawberry Pomegranate, Brew Over Ice has you covered no matter what beverage you’re craving. 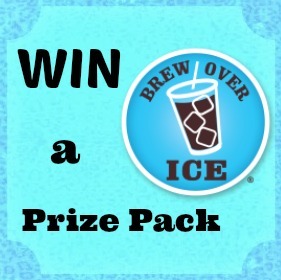 I absolutely love drinking Brew Over Ice K-Cups! My favorite is the Twinings Iced Tea! The snapple peach iced tea looks good! Thank you for sponsoring such a great giveaway! !